Eva Sage-Gavin '80 is Executive Vice President, Global Human Resources and Corporate Affairs, Gap Inc. She sets the strategy for communications, government and public affairs, social and environmental responsibility, foundation, and human resources operations for 134,000 employees worldwide. Sage-Gavin joined Gap Inc. in 2003. Previously, she held senior HR leadership positions at Sun Microsystems, Disney Consumer Products, PepsiCo and Xerox. Sage-Gavin is a member of the Skills for America’s Future Advisory Board, working with the White House, Aspen Institute, community colleges and corporations to build skilled workforces. She chairs the HR Policy Association’s Workforce Development committee. Sage-Gavin holds a bachelor's degree in industrial and labor relations from Cornell. She serves on the Cornell Center for Advanced Human Resources Studies Board and the President’s Council of Cornell Women. 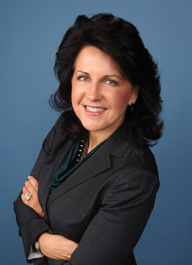 Tracy Dolgin '81 was named president and CEO of the YES Network in 2004. The television home of the New York Yankees and New Jersey Nets, YES has been the nation’s most-watched regional sports network for the past eight years. 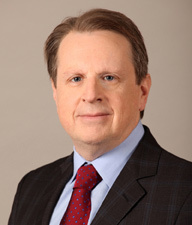 Before joining YES, Dolgin served as managing director and co-head of Houlihan Lokey Howard and Zukin’s Media, Sports and Entertainment practice. Previously, Dolgin had been executive vice president of marketing at the FOX Broadcasting Company. A founder of and executive vice president of marketing at FOX Sports, he also had been president of FOX Sports Net and chief operating officer of Fox/Liberty Cable. Before his time at FOX, Dolgin was senior vice president of marketing at HBO Video. Dolgin has been named to Sports Business Journal’s “50 Most Influential People in Sports Business” and was also named a “Marketer of the Year” by Advertising Age magazine. He has earned numerous other industry accolades, including several Emmys, Clios and Worldwide Cannes Awards. He received his undergraduate degree from ILR and earned an MBA from Stanford University.